Being a good human means going out of your way to help someone in need. Sometimes you make a point to donate your time to a soup kitchen or donate money to charity. Other times, an opportunity to do a good deed is thrust upon you. That’s exactly what one father and son duo realized while driving along a stretch of rural highway one day. They spotted something unusual on the road, and they just had to stop and pay attention. Bret Winingar and his son, Zach, often go on outdoor adventures together. 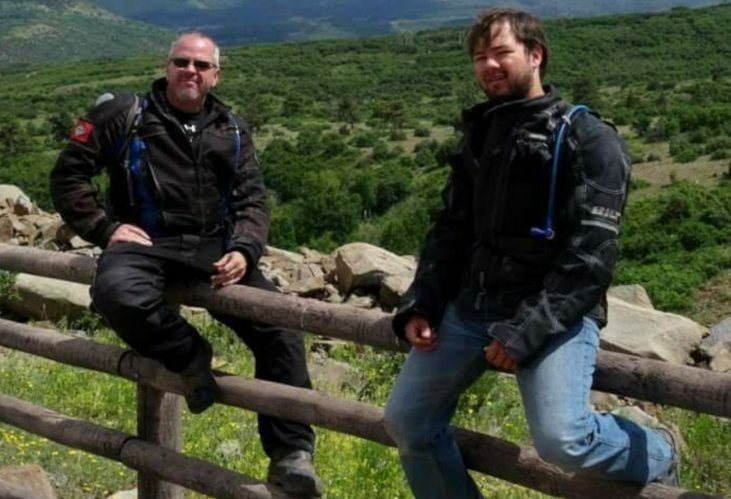 They love spending time outside and bonding through their love of motorcycles. Bret describes himself as a lover of “mildly extreme sports,” but he could never have predicted the adrenaline rush he felt when he encountered something strange on the road that one fateful day. If Bret and Zach thought they had a close bond before, this experience was going to make them a lot closer. On a seemingly ordinary day, the father and son were enjoying a lovely motorcycle ride in Little Rock, Arkansas. Everything looked normal, the landscape was as clear and bright as ever. Then, all of a sudden, they spotted a strange object on the side of the highway. 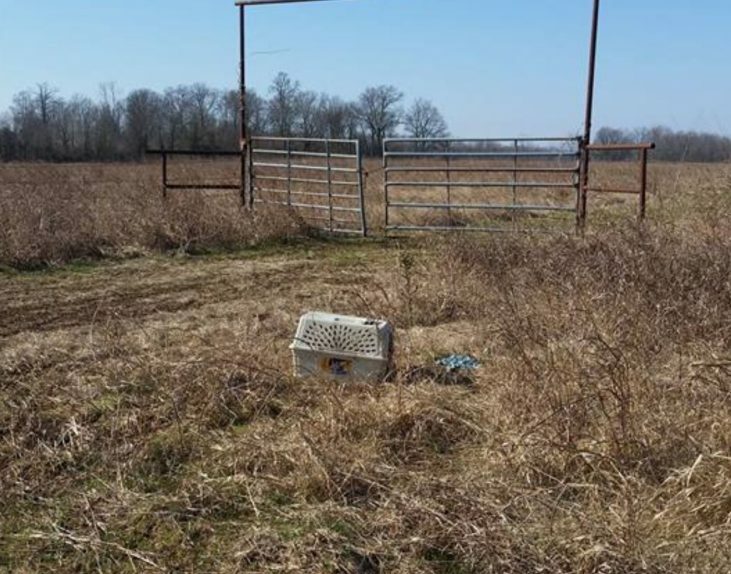 It looked worn and dirty, but Bret could tell even from a distance what it was: it looked like a crate meant for a dog or a cat. Most people would have just driven by without a second glance. It was a beautiful day, they were driving at high speed, and the crate basically looked like a piece of trash on the side of the road. Bret and Zach didn’t hesitate for a moment. 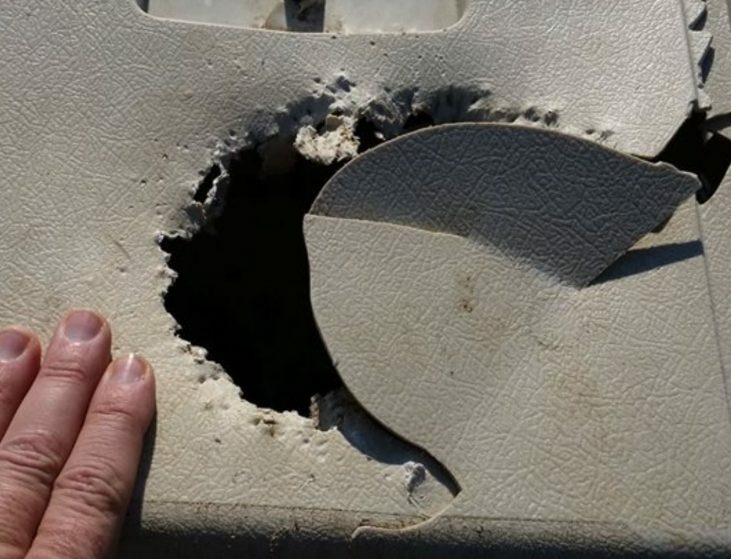 They pulled over and realized that the crate had a giant hole in it. It seemed like someone (or something) had been chewing at it intensely trying to either get in or get out. Bret and Zach knew that animals in distress could be dangerous, so they approached the crate very cautiously. When they opened the door, they were completely shocked. When they first saw the crate, they assumed that it would probably be empty. Now they knew that assumption was wrong. They found a dog inside the box. The dog was scared and badly hunched over from being in a small crate for so long. The men knew exactly what they needed to do. They immediately put a plan into action. 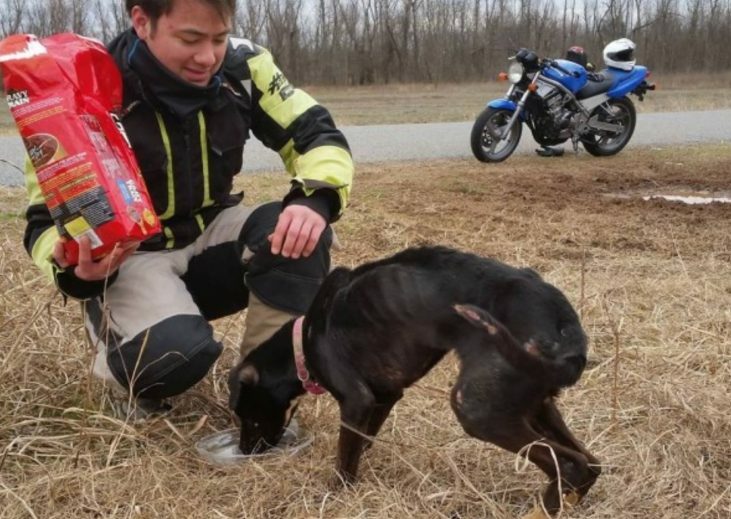 They sped home on Bret’s motorcycle, picked up their car and got a bag of dog food. They put a little bit of food in a bowl for the dog. The dog ate the food so fast because it hadn’t eaten in so long. The dog had a long road ahead if it was ever going to fully recover, but at least things were going to get better. After the dog ate as much food as she could handle, Bret and Zach put her into their car so she could have some more room to stretch out and get comfortable. Then they decided to take the dog home where they could further assess her condition and decided what to do next. Obviously, this dog was in need of some urgent care. She looked severely neglected. While they were driving back to their house, Bret and Zach decided to name the dog Charlie Bravo, or “CB” for short. The dog was in bad shape, but she was still very lovable and friendly. Once they got home, Bret and Zach gave Charlie Bravo a bath. They also noticed that her nails hadn’t been trimmed in a really long time. They were starting to grow into the pads of her paws. Charlie felt much better after having a bath. Bret and Zach didn’t know how long she had been in the crate for, but she had clearly been neglected for at least several months. Charlie smelled much better after her bath. She also seemed to really bond with the rest of Bret and Zach’s family. Charlie was stealing everyone’s hearts already. The family was going to do everything they could to help her. 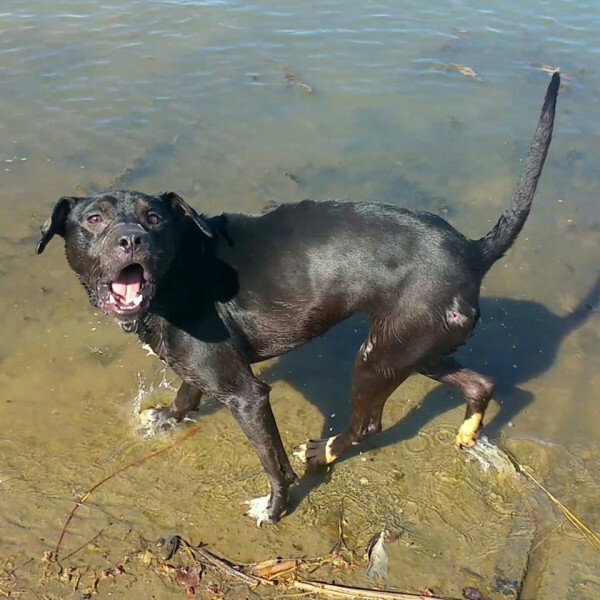 All of those months of neglect had left Charlie with some severe medical issues. She was in dire need of professional help if she was going to get through this. Bret and Zach brought Charlie Bravo to the veterinarian as soon as they could. The veterinary team was quick to get Charlie the medical care she so desperately needed. They gave her a thorough checkup and started giving her vaccines. 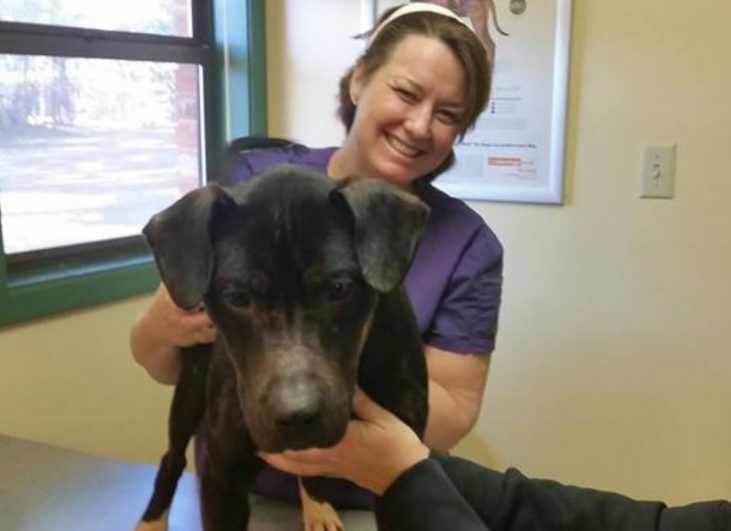 The veterinarian first carefully treated and bandaged all of the sores that had developed on Charlie Bravo’s paws. She trimmed her nails and gave her a flea prevention treatment. According to the vet, Charlie seemed to be just eight months old. She was just a puppy! Bret and Zach were baffled. How could anybody mistreat such a loving and wonderful dog? They were heartbroken for Charlie Bravo but excited that she was no in good arms. 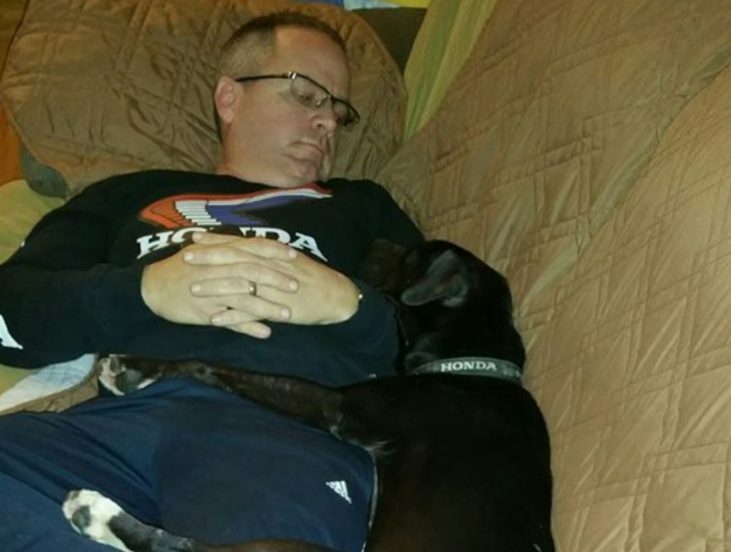 Bret decided to share Charlie Bravo’s story online and the news went viral. The family started to receive a whole bunch of donations from all over the country. All of those donations went straight towards paying Charlie Bravo’s extensive vet bills. Charlie went from being a dog that nobody wanted to being a dog beloved by more people than she had ever seen in her short time on this planet. Even after the family had paid for all of Charlie’s medical bills, they were still receiving donations. In fact, the family received so much support that they were able to pay it forward. 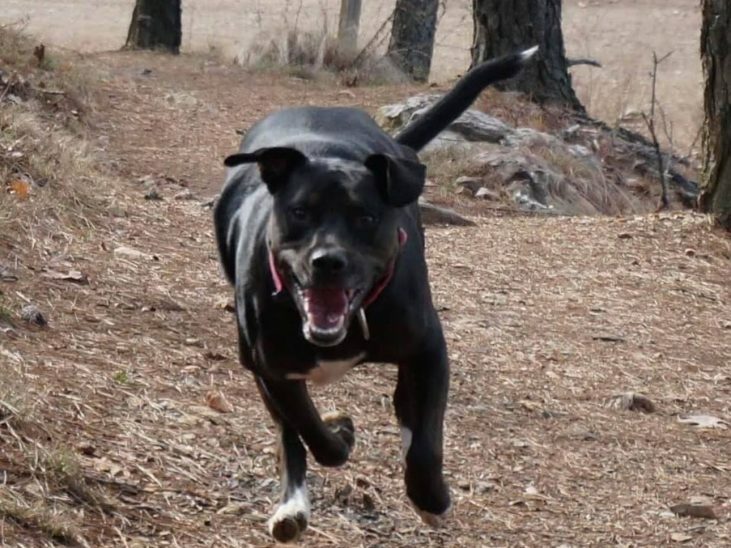 Since Charlie had already gotten all the financial support she needed, the family donated the rest of the money to animal shelters in the Little Rock area. 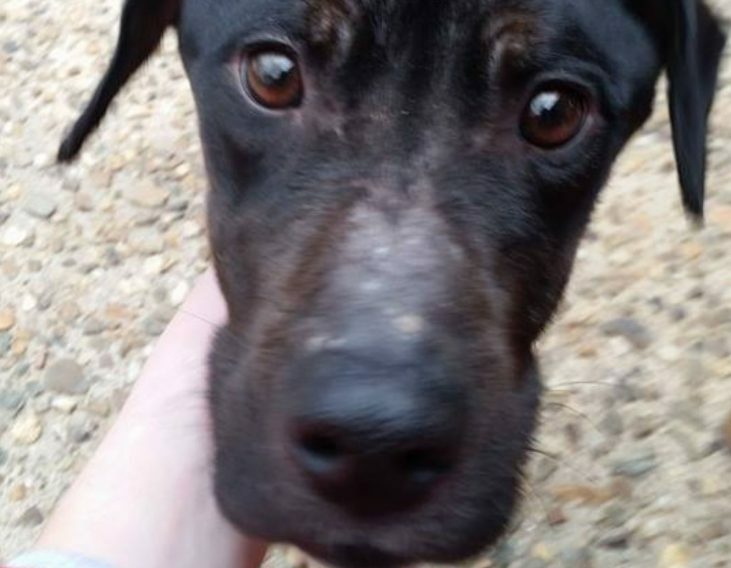 Now other neglected dogs could get the care that they needed just like Charlie did. 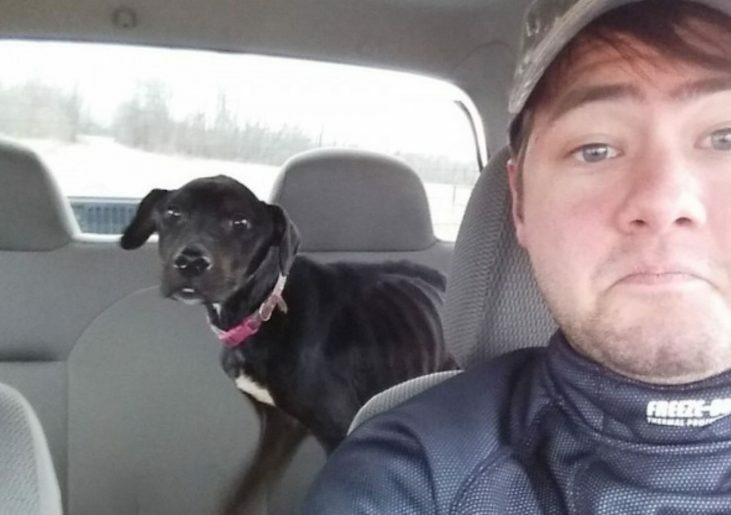 Bret and Zach didn’t know how long Charlie Bravo spent in that crate, starving and abandoned with nobody to help her. 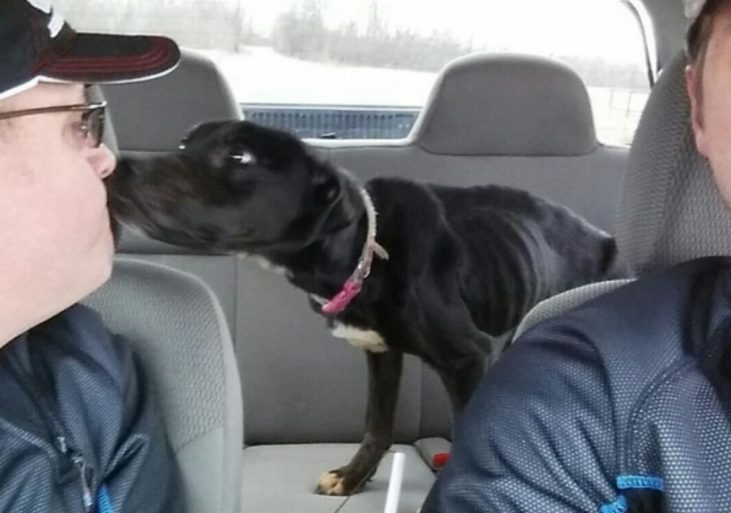 They were so thankful that they drove past her that day and that they stopped to help her. 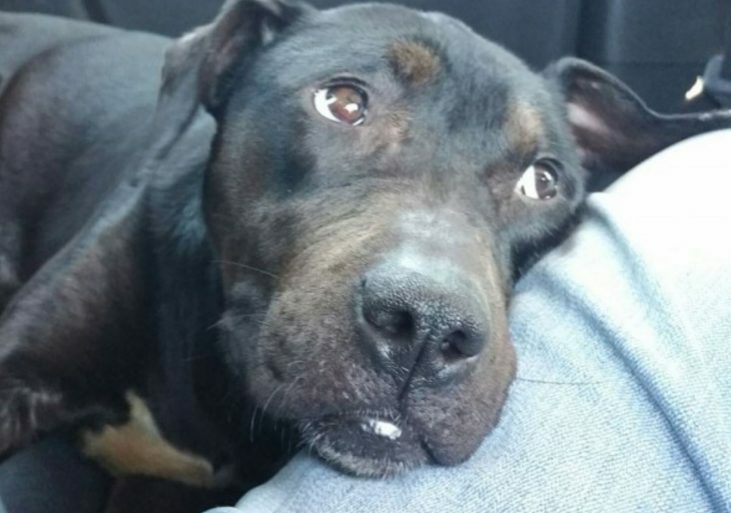 She was finally in a safer, more loving place thanks to two good samaritans. Charlie was much more relaxed in her new home and she formed a deep connection with every member of Bret’s family. The whole family became so attached to Charlie Bravo that they couldn’t bear the thought of giving her up. 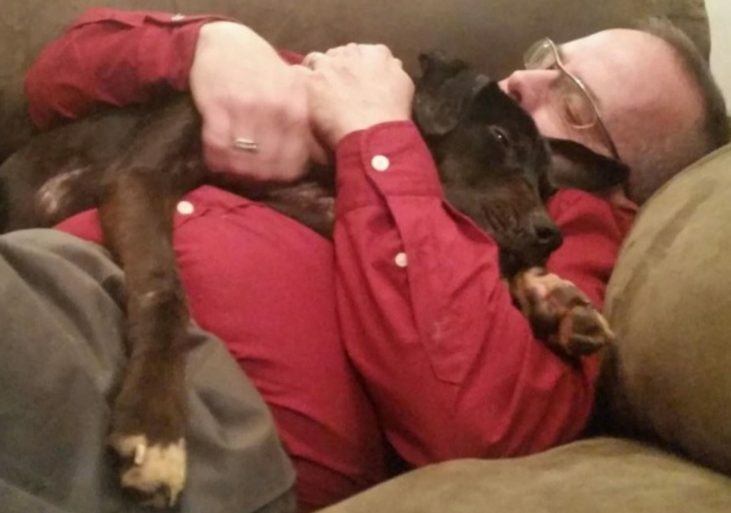 She’d become a member of this family, so the family decided to officially adopt her. Charlie now had a permanent home. She would never have to worry about being abused or abandoned again. This dog got very, very likely, and I’m sure she appreciates her family every day. 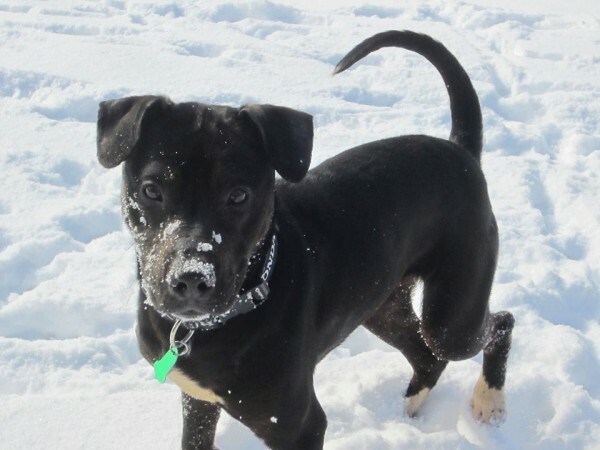 Today, Charlie Bravo is a happy, healthy dog who loves playing in the snow more than anything else. 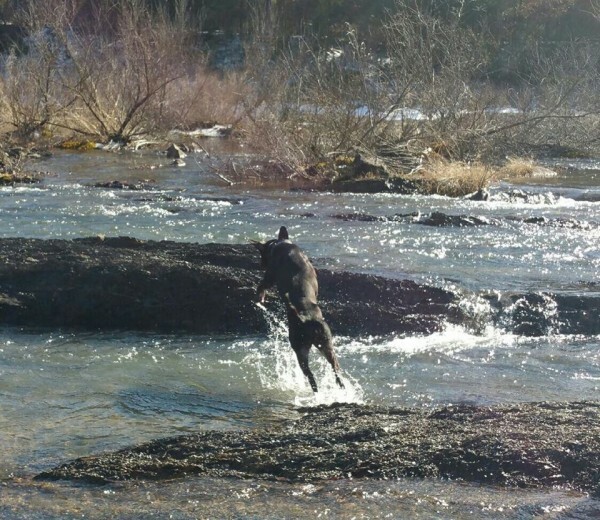 She is also enjoying all of the perks that come with belonging to a forever family. 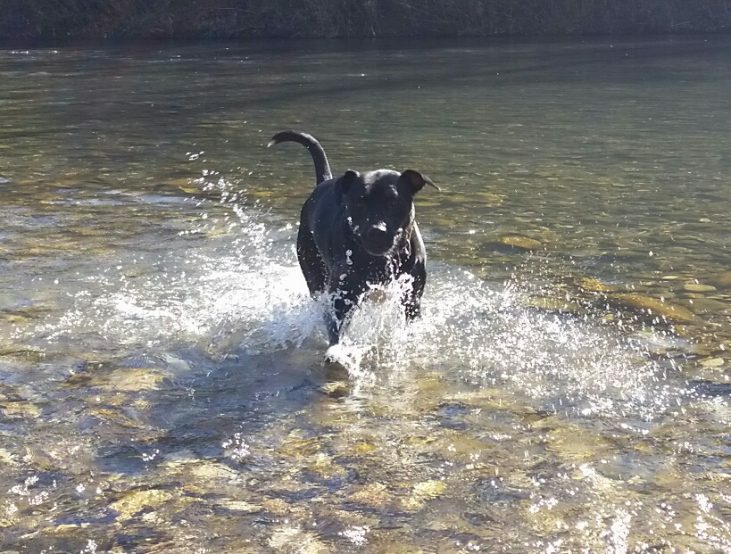 Charlie’s life is full of love, fun, and adventure. Now Bret and Zach have another furry friend to take with them on all of their outdoor excursions. 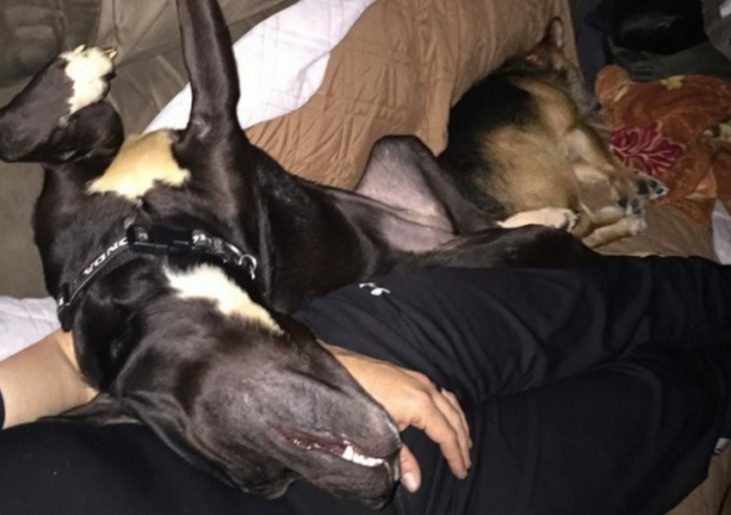 Charlie Bravo is a wonderful addition to Bret’s family. Charlie Bravo isn’t Bret and Zach’s only pet. They have other animals in their house, and all of the other animals quickly accepted Charlie as part of their family. The other pets didn’t mind sharing their humans with a new friend. 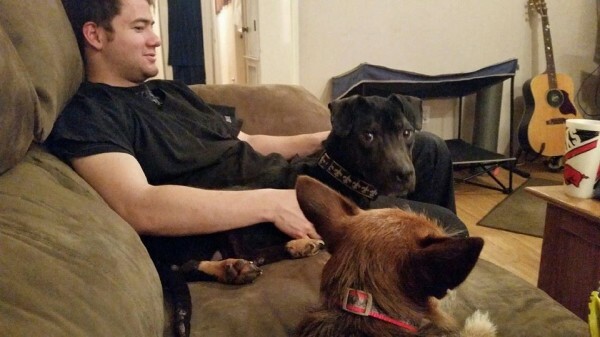 All of the dogs got along really well, and Charlie Bravo loved having other dogs to play with and share a couch with. They were one big happy family. With all of the dogs together there was so much activity and energy in the house — especially since Charlie Bravo’s miraculous recovery. Bret started lovingly referring to his house as the “Casa Del Whackos!” The dogs were always playing and running around, so the name was fitting. They could hardly contain their excitement. It’s so exciting when a new puppy joins the family. Charlie made everyone happy. Her energy was infectious. 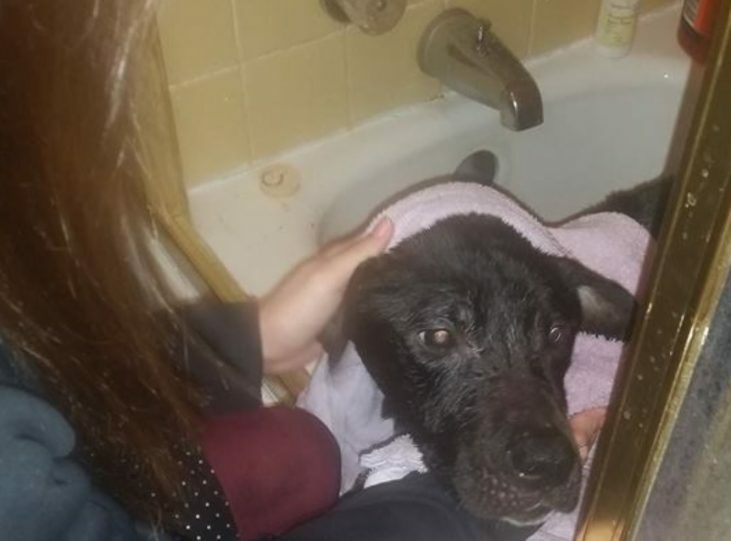 The family now had a grand total of four rescue animals in their home. They were thinking about starting their very own charitable foundation for other rescue animals who needed the kind of help that Charlie Bravo once did. If they were able to help Charlie, they could apply those skills and that passion to helping a whole bunch of other animals in need. They enjoyed helping Charlie so much that they wanted to do it over and over again. The family started to put a plan into action. If they were able to meet their goals, they would set up a rescue foundation called “Charlie’s Angels.” Bret even set up a website for Charlie Bravo to allow people to donate to their efforts, too. Everything seemed to be falling into place. Donations kept coming in and it looked like the family was getting closer to accomplishing their dream. According to the American Humane Association, millions of pets each year are found in heartbreaking conditions. Thanks to kind people like Bret and Zach, these pets can find loving families and get a second chance at life. Even though there are some people in this world who don’t value animals and abuse and abandon them, thankfully there are also good people who use their time and money to nurse animals to health and give them loving homes.